National Park Visitor Centre Brockhole. 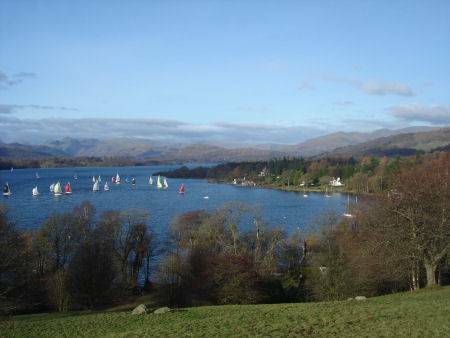 The Lake District National Park Visitor Centre is situated on the banks of Lake Windermere at Brockhole, between Waterhead and Troutbeck Bridge. It houses the 'Living Lakeland' exhibition on the evolution and development of the National Park. 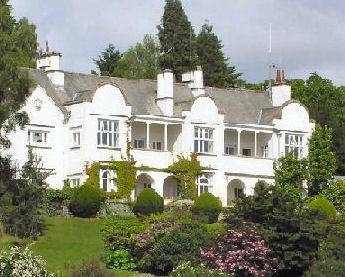 The mansion was built in the late nineteenth century by wealthy Manchester cotton magnate, William Henry Aldolphus Gaddum who in 1895 purchased four plots of farm land on the shores of Windermere. The house was designed by Architect Dan Gibson, while local landscape gardener Thomas Mawson laid out the five acres of formal gardens, he also landscaped the remaining 25 acres of Gaddum's estate. Children's author Beatrix Potter was frequent visitor to the house was Beatrix Potter, who was a cousin of Mrs Gaddum. She referred to these visits in her journals. The centre hosts a programme of guided walks and exhibitions, there are childrens activities, gardens with a fine selection of mature trees, and an information centre, . with good pushchair and wheelchair access. The National Park Visitor Centre also are exhibitions, film and slide shows, there is a shop selling books, maps and gifts along with a restaurant and tea room.